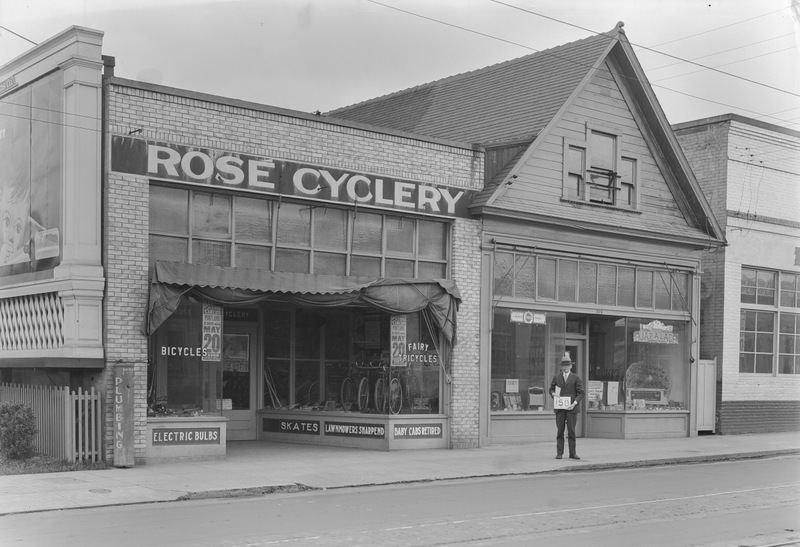 The tidy Rose Cyclery shop not only sold bicycles, but an array of other goods and services (baby cabs retired?). The store stood on the east side of NE Union, just south of Broadway. The shop next door was a paint store, and the brick building to the right is still standing.